In a baby family SLEEP is often high on our wish list. 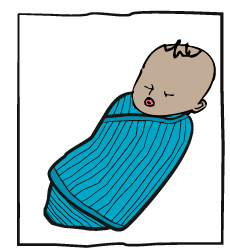 Bring merino wool into the bed and your baby is highly likely to sleep better, perhaps more! No other fibre is as perfect for the bed as merino wool. 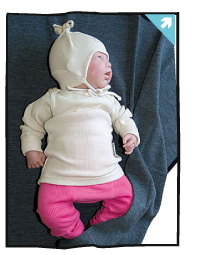 The naturally curly merino wool fibres trap air and baby will feel wonderfully warm or cool in the summer months. Wool also acts as a natural humidity controller, it can absorb about a third of its own weight in water before feeling wet or even damp. 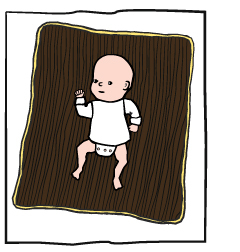 If milk leaks into the family bed or pee escapes the diaper, not to worry, sleep will not be disturbed. 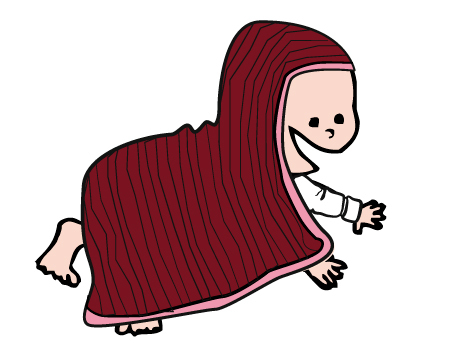 The ManyMonths Natural Wool Blanket is sewn in stretchy 100% merino wool rib with a colourful organic cotton binding. It is a superfine quality that doesn't tickle. 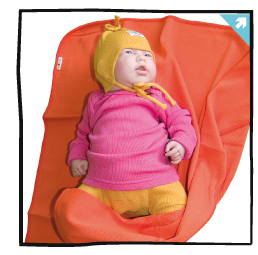 The blanket can be used in the bed as a breathable protection pad, inside a duvet cover as a blanket, as a sheet, for swaddling, on the floor as a changing pad or play mat, in the car seat and stroller for softness and warmth. The size of the blanket is designed to be optimal for many kinds of usage (about 75 x 75 cm). Worth mentioning is the flame and dirt resistance of wool. Wool will not easily ignite and it doesn't really burn. Also, wool is a sustainable, 100% compostable material when its time as a blanket is over!